Protect your pet with Healthy Paws and give your dog or cat the best medical care while protecting your bank account from unexpected, and expensive, veterinary bills. Our affordable plan starts as low as $15 for cats and $20 for dogs. 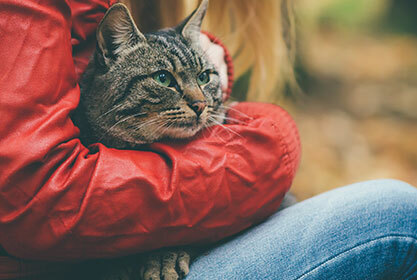 Pet insurance is designed to cover the unexpected accidents and illnesses that you just can't plan for, such as when the dog swallows something he shouldn't, or the cat gets a urinary tract infection. With Healthy Paws, you can be reimbursed up to 90% of your vet bills for these unexpected incidents. Coverage includes emergencies, hereditary or congenital conditions1, cancer, and chronic conditions. No pet insurance company covers pre-existing conditions, and most plans do not cover wellness visits like annual exams or teeth cleaning. Healthy Paws offers one clear and comprehensive plan that provides you and your pet with no caps on claim payouts. You can visit any licensed veterinarian and Healthy Paws will reimburse you based on your actual vet bill, as opposed to some companies that reimburse based on what they think the treatment for a specific condition should cost. Comprehensive Coverage. We offer one easy-to-understand pet health insurance plan that covers new accidents and illnesses including injuries, cancer, genetic conditions, alternative and emergency care. No Caps on Claim Payouts. Unlike most pet insurance companies, Healthy Paws has no maximum limits on payouts; no per incident, annual or lifetime caps. Committed to Our Customers. Our commitment to our customers is to provide unparalleled service and support, and access to the best pet insurance coverage in the country. Our customers think highly of us and have given Healthy Paws the highest rating at Consumers Advocate, Canine Journal, and many more review sites. 99% of Claims Processed In 2 Days. Our team of pet passionate, veterinary professionals work tirelessly to process most claims within two business days. Plus, submit your claims in just seconds by simply uploading a photo of the vet bill through our mobile app or online. It's that easy! Helping Homeless Pets. Healthy Paws is a mission-driven company. Through our Foundation, we help homeless pets receive the medical care they need to get healthy and get adopted. 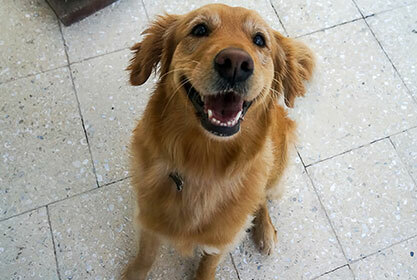 "The Healthy Paws Pet Insurance staff was incredibly helpful and supportive during the entire ordeal. Great company run by real people who care about pets!" We're all about protecting your pet from unexpected accidents and illnesses and you from the financial problems their treatment may cause. Pre-existing cruciate ligament injury has a bilateral exclusion. If the cruciate ligament on one leg is injured prior to enrollment or during the 15-day waiting period, then the cruciate ligament on the other leg is excluded from coverage. This is our only bilateral exclusion. – Preventive healthcare including vaccinations or titer test, flea control, heartworm medication, de-worming, nail trim, and grooming. – Parasite control including but not limited to internal and external parasites for which readily available prophylactic treatments are available. – Dental health care, however if injury to teeth is caused by an accident, we do cover the cost of extractions of damaged teeth and of reconstruction of upper and lower canine teeth. We do not reimburse the costs, fees or expenses associated for elective procedures, boarding, behavioral modification, training, therapy or medications for behavioral modification. Please see our policy for more information on exclusions. Our commitment is to provide you and your pet with the best customer service and best pet insurance plan in the country. We are grateful to our pet-passionate customers for sharing their love of our plan and service by giving us a 98% satisfaction rating at Consumers Advocate! "The vet bills really added up quickly, but knowing we had insurance for Layla really put us at ease about the bills and allowed us to focus on her recovery. I submitted the bills easily online, and they approved the claims very quickly, and without any questions. They paid over $2,000 of Layla's vet bills (90% of covered charges)."